The halfway mark of the academic year is an opportune time for the Clarence Sebastian foundation (C.S.F) to disperse its scholarships to seven of its deserving members. These were allocated recently. 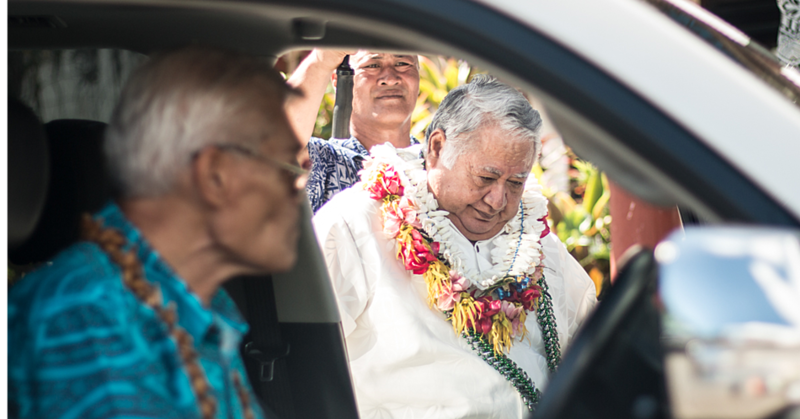 The night started with a prayer service led by the C.S.F chairman Siaosi Salesulu. The bible was read by Mele Salesulu and the prayer was conducted by Paulo Sepuloni. 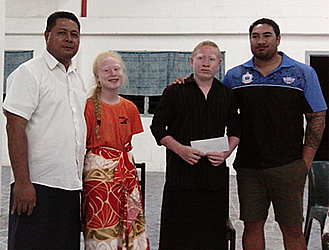 The photos show Faaofo Junior Leota who is also the vice chairman of the C.S.F board of directors presented the awards. The C.S.F Board wishes all students and their families the best for the remaining months of the year. 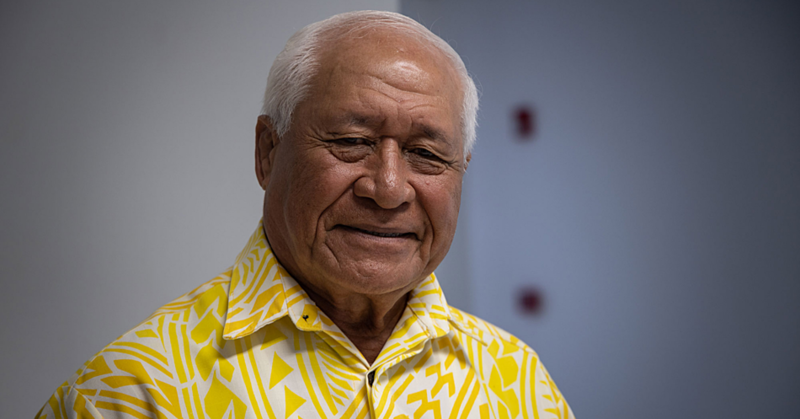 The Board also acknowledge the continued cooperation of the Samoa Observer in highlighting the work of the C.S.F despite some pressing obstacles that many N.G.O’s in Samoa face. At the moment, The Clarence Sebastian Foundation is the only operating Centre of its kind for Albinos to the east of New Zealand. 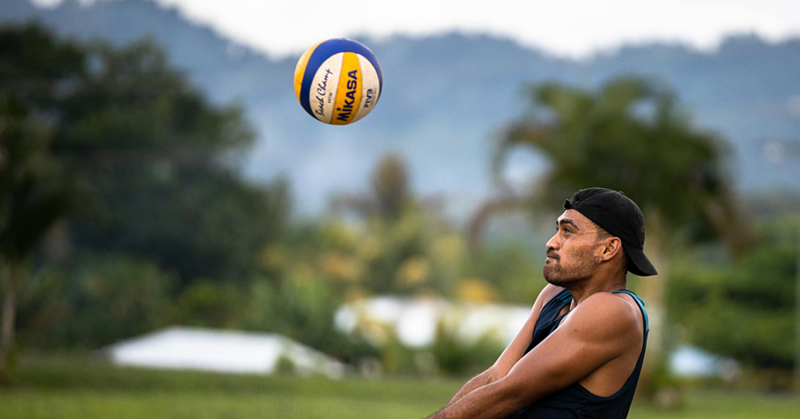 The Clarence Sebastian Foundation Board has a vision to eventually extending its support out to our South Pacific Neighbours such as Tahiti, Tonga and Fiji. Through The Clarence Sebastian Foundation, it has become our mission and our hope to promote awareness in educating families, the community and provide medical support in means of financial aid and research.